The Mission follows a group of mercenaries who believed they were taking a dying scientist to the planet Valdorion in search of a cure. Under advisement from Senator Tyrell and against his better judgment, the commander of the Undead agrees to take the youngest member of his mercenaries on the mission to the distant world. Mack gives fourteen year old Darkblood the task of protecting and transporting Victor Magnus, a scientist who is dying as a result of an accident in his lab. It is only when they reach Valdorion, the planet's only city, that Darkblood discovers the dark truth behind their mission. Welcome to Anjana Vasan's giveaway of my e-book The Mission here @ The Kindle and Me. 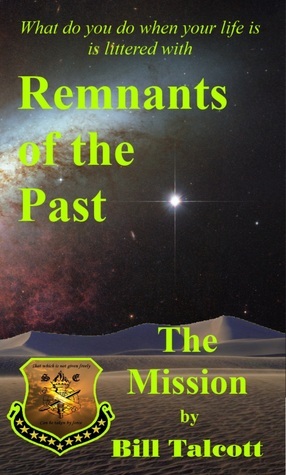 I'm looking forward to seeing 4 lucky individuals get a chance to Read the first installment in the Remnants of the Past series. Good luck and Good Reading. Sci-fi fans will love this book! Hurry up and enter! I am really jazzed that so many people would come here for a shot at winning a copy of my e-book The Mission. Thank you and Good luck to all of you. This sounds really interesting. I don't read a ton of sci-fi, but this has really caught my eye. Thanks for offering a giveaway! I would like to give thanks to Anjana Vasan for hosting this book giveaway. This has been an exciting time for me. Good luck to those entering. Two more days. I'm really excited to see who will win copies of The Mission. I would like to thank everyone who has entered this drawing and wish everyone good luck. Oh my, It says we have 1 day left. Well, If you are having any reservations about reading this novel go visit The Mission's goodread page and check out the review by Ms Ashley Fontainne. Congratulations to those who will receive a copy of The Mission by entering the drawing@ The Kindle and me. On behalf of Anjana Vasan and Myself, Thank you and I sincerely hope you enjoy the story.